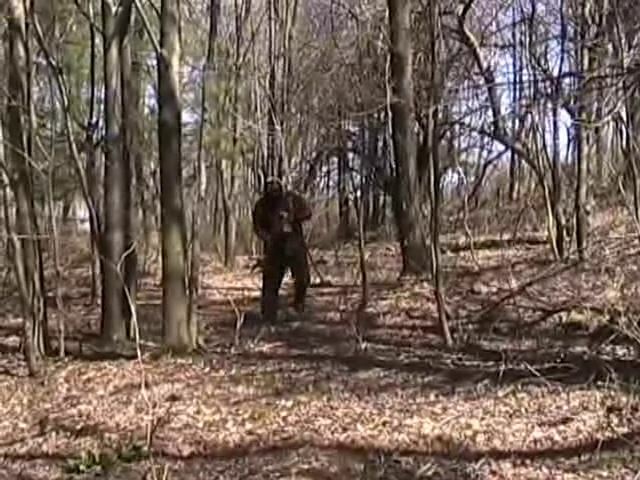 A - Footage of the Chainsaw Killer chasing people through the woods in the late autumn. 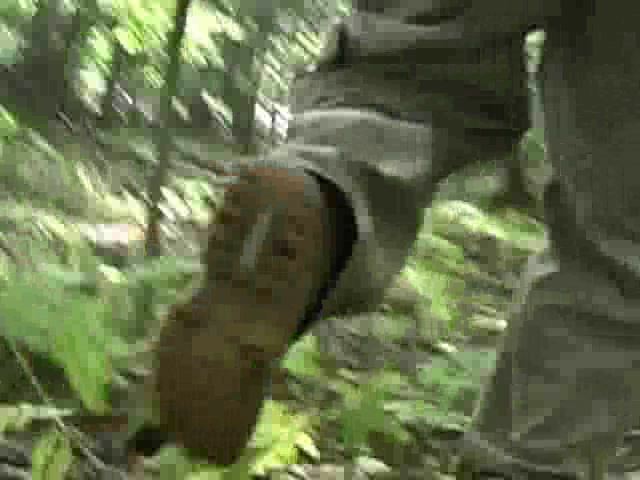 B - Footage of those victims being chased in the early spring. Now, you might think that having only those two things would in some way baffle or foil Chainsaw Killer's editors, but no - it doesn't even slow them down. Allow me to present my proof! I don't know why, but I can't get enough of this footage. More relevant to my theory that they shot all of the Chainsaw Killer footage first, and then meant to come back and shoot the victims later, but wound up waiting months later, is the final killing set in the woods. Low-budget cinema, I heart you. 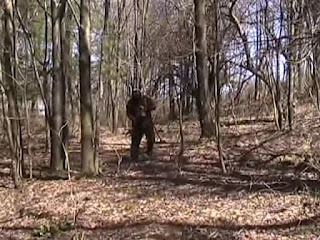 Spring symbolizes life, when Chainsaw runs through the woods his aura of death pushes the area into the death that autumn brings - quel artistical!